Lu’an Melon Seed is a Chinese green tea. Pronounced “Liu An Gua Pian” and also known as Liuan Leaf, it holds the “China Famous Tea” designation. The leaves smell sweet and fresh; when wet, they resemble melon seeds, hence the name. The brew has a smooth, sweet, nut-like flavor that is slightly reminiscent of toasted pumpkin seeds. Lu’an Leaf Tea can be difficult to get outside of China. 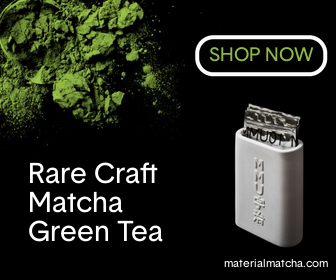 You may find it in a specialty tea shop or through some online vendors. If you are unsure where to begin, you can check out some of my recommendations below. Chinese green teas are generally much easier to brew than Japanese varieties and this one is no exception. Like most other green teas, Liuan Leaf tea should be steeped in cooler water than black or oolong teas. Many Chinese will brew Liu An Gua Pian in a plain 8oz glass. Many restaurants in China do this as well. In tea shops, however, you will usually be served Lu’An Melon Seed in a traditional lidded cup called a gaiwan, which is what I will use for these instructions. Cover the bottom of the gaiwan with a shallow layer of dry leaves. You will need approximately 1 teaspoon. Use twice this amount if you are brewing your tea in an 8oz glass. Fill the gaiwan about one third of the way with hot water. The temperature should be below boiling; around 80°C (176°F) is ideal. Tilt the cup a bit and rotate, so that the leaves get wet all over. Then add more hot water until the gaiwan is 80-90% full. Place the lid on the gaiwan and let the tea steep for 1-2 minutes. It is ready to drink when most of the leaves have sunk to the bottom of the cup. You can get 3-5 infusions out of most varieties. Increase the steeping time 30 seconds to one minute for each infusion. How many infusions you do depends entirely on your taste. Experiment. Many people already have an account with Amazon.com so it is probably the easiest place to buy tea online. They have a bunch of options that look like they come directly from Chinese store shelves. That’s not necessarily a bad thing, but the quality can vary a lot. 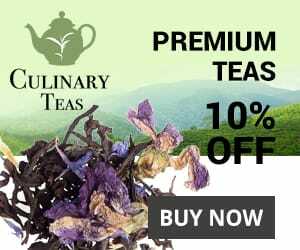 Luckily, they have recently added some new teas (as of Nov 2018) and among them is this Premium Lu An Gua Pian from Best Leaf Teas. It is an excellent tea, though it definitely costs more than all the generic varieties found on Amazon. I prefer buying from online shops and my favorite option is this great Melon Seed from Teavivre. Adagio Tea’s Anhui Emerald Seed seems to be more popular, but it is also more expensive and, to me, the difference in price is not justified. The tea from Teavivre is a better value. For more on Lu’An Melon Seed tea check out the Wikipedia page.